Drought is considered by many researchers to be the most complex but least understood of all natural hazards, affecting more people than any other hazard. Drought affects many aspects of community and environment, and any future increases in the water demand will be most critical in periods of severe drought. Geospatial analysis of the historical drought events and their causes can be used to mitigate drought impacts and to develop preparedness plans. 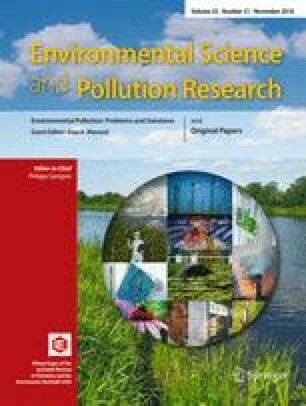 This study aimed to identify the changes in drought frequency, magnitude, duration, and intensity in the Eastern Nile basin during the period 1965–2000, using the standardized precipitation index (SPI). An SPI program based on C sharp language was developed to monitor drought in the study area. Twenty-eight meteorological stations distributed on the Eastern Nile basin were chosen to collect monthly precipitation data. For drought analysis, SPI series of 3-, 6-, 9-, 12-, and 24-month timescales have been calculated. Results showed that the study area received several drought events during the long rainy season (June to September) and the short rainy season (March to May) as well. Annual analysis of SPI time series indicated that the study area received several drought events, and the most severity event was during the year 1984. The main objective is to obtain standardized precipitation index that can be interpreted as mean 0 and standard deviation of 1.0. The input data is the monthly precipitation (P). Cumulated precipitation must be calculated according to selected timescale of SPI. For example, if we are interested in SPI_3 for September, the accumulated precipitation will be the sum of the current month and two previous months, i.e., from July to September itself. where r as in SPI_r calculated for month i. The following calculations steps are performed for each month through all the study period. Mean and standard deviation of the precipitation were calculated for the specific month during all the period, to transform the precipitation data into log normal values. U statistics, scale, and shape parameters of the gamma distribution were calculated after transformation the precipitation data into log normal values (Eqs. 2, 3, and 6). Table 7 indicates the values of statistic parameters used to calculate the gamma distribution in Debremarcos station through September, using the 3-month timescale. Then, the gamma distribution was calculated and the equi-probability transformation techniques were used to transform the cumulative probability into standardized normal distribution, as discussed in the methodology section. Finally, SPI values will be the result (Table 8). Table 9 shows results of SPI_3 in Debremarcos during the period 1965–2000. Table 9 presents the details of trend calculations for SPI_3 (Sep.) in Debremarcos station. For the September month, column 4 in table 9 shows the difference between the yearly values of SPI_3 and the value of SPI_3 in 1965. The Sgn values of these differences were provided in column 5 according to Eq. 15. Equations 14, 16, and 17 show the procedure of Z computation, which depend on the sum of the sum of Sgn values. In this case, results show that the absolute Z value is zero, which is less than 1.96, so the null hypothesis of no trend is accepted at the 5% significance level.